Boozehound this month is stepping away from whiskey to take a dip into the deep and wide ocean that is the Wonderful World of Port. 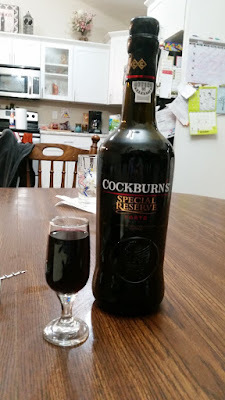 This means, before we plunge into our review of Cockburn's Special Reserve we have to answer the most basic question of all: just what the hell is port anyway? Well, at it's most basic: it's a fortified wine made with grapes from the Douro River Valley in Northern Portugal. It's a bit more complicated than that in terms of the varieties of port and different shades and the like, but that's essentially it in a sentence. The grapes from the Douro get made into wine and then, they add a neutral grape spirit known as aguardente. This has the effect of stopping the fermentation process and leaving residual sugar in the wine and in a nice twist also boosts the alcohol content on this delicious stuff, so it's good times all round! 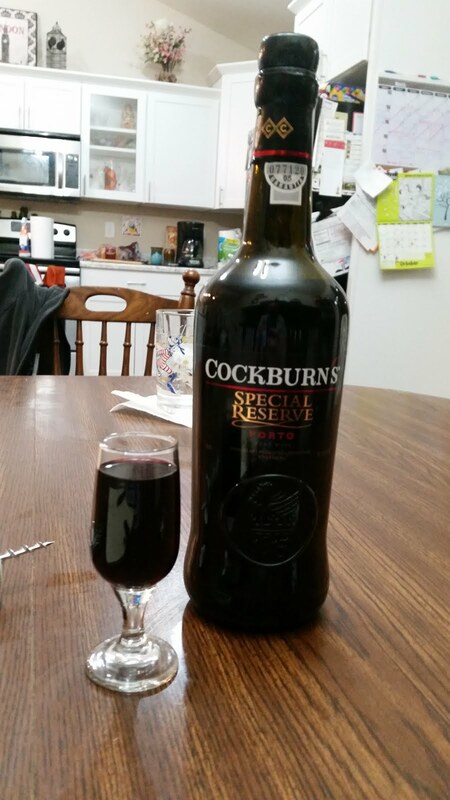 First up, "What's the best bottle of port you've ever had?" 1963. We have had Taylor's Dow, Croft and Fonseca of that year. They were all excellent, memorable ports but the Croft was the best. Vintage port represents the best produce of a single outstanding year- not all years produce a vintage port. They improve over decades!!!! Can confirm. I can't remember which one of these I was allowed (emphasis on allowed) to sample, but it was delicious in the best sense of the world. Plus, the fun with vintage ports is the age of some of these bottles. It's kind of cool to think about drinking something that was bottled decades ago. The downside to vintage port is that you need money to really play the game. I would decant any port as the air affects the taste. You could probably decant a young port a couple of hours before drinking, a vintage port needs to be decanted longer so I would decant in the morning if it's to be drunk at night. Decanting is an interesting thing, wines also benefit from being exposed to the air. Port should be drunk at room temp. All right. So you can decant the regular stuff as well as the fancy vintage stuff... good to know! And the difference between 'tawny' versus 'ruby' ports? The difference is the amount of time they have spent in the cask. Tawny ports have maybe been in the wood casks ten or twenty years. The date on the bottle is when it is taken from the casks and put in the bottles. Vintage ports are bottled after a couple of years in the cask and they continue to age in the bottle. Vintage ports are bottled after a couple of years in the cask and they continue to age in the bottle. So ruby ports taste 'fresh', 'young'. Tawny ports are not as sweet as ruby ones. Color: Deep, rich, red... it's a ruby port, so I has a lovely color to it. Nose: Deep, rich, dark fruits... black cherries, plums, I want to say raspberries as well- but that doesn't seem quite right. (I'm not up on my fruit terminology- are black raspberries even a thing?). Body: It sits nicely on the tongue- but then again, I assume it's supposed to do that. Wine doesn't really have the same spectrum of viscosity that whiskey does. Also, dark chocolate would pair really, really well with this. Overall: This warms you up nicely and it's a beautiful nightcap to end your day. 10/10 would drink again.